A criminal case has been filed against an Uzbeki photographer for taking ethnographic photos that portray her country in “a negative light”. See a small portfolio of her work at the BBC. The U.S. National Archives joins the Commons! 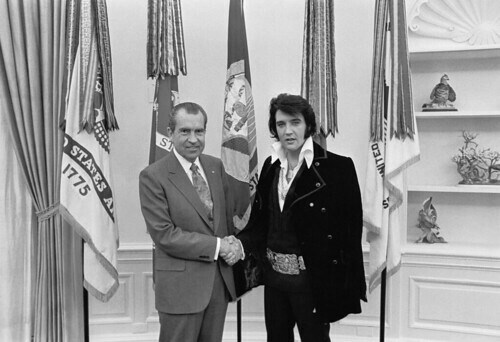 Elvis & Nixon, houses made of beer cans, and EPA photography, amongst other topics . . .
What can you photograph if you limit yourself to 1.5 cubic feet? Evidently, a lot!